As Hurricane Imre threatened to devastate large portions of the US last week, many citizens sought to flee to safer areas, leaving many prized possessions behind. However, for one student, her prize possession came in the form of a 1 year old dog, and there was no way she was leaving her behind. Georgia Southern University student Jessica Lewis decided to evacuate to Atlanta for safety, and refused to leave dog Luna to face the storm alone. 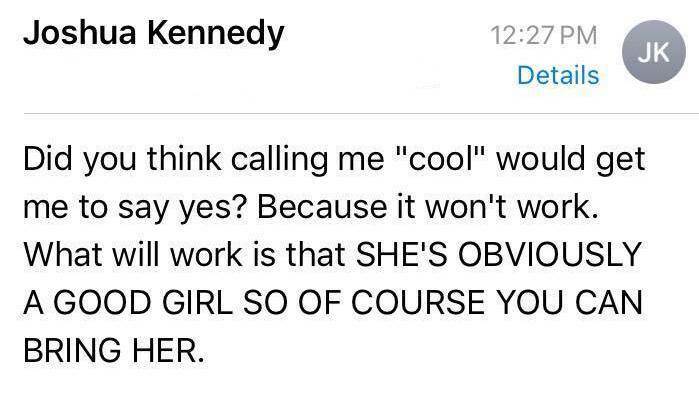 Before she could leave, Georgia had some tough decisions to make, including whether or not she should miss her university lectures and how she was going to also evacuate Luna to safety with her. 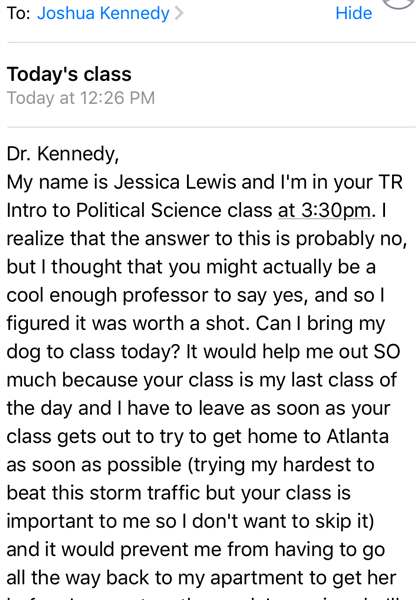 Taking a leap of faith, Jessica decided to tackle both problems in one by emailing her professor to ask if she could bring Luna to her Intro to Political Science class. 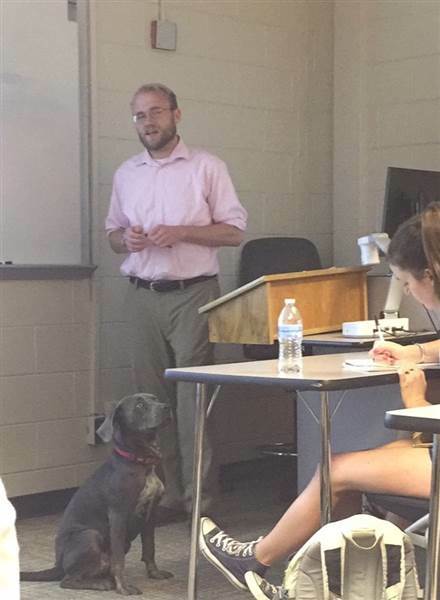 Luna really is a damn GOOD GIRL, and Jessica's professor is pretty great, too. After the class Jessica was able to make it back to Atlanta, with Luna in the passenger side.